One of the big questions hanging over the future of Australian trade and investment with China is whether it is possible to engage more closely with Beijing while ensuring national security, sovereignty and self-respect. In the Howard years the question was set to one side in the belief that Australia did not need to choose between prosperity and security. 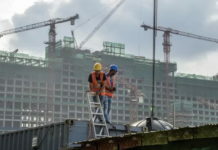 This cosy assumption was ruptured once Xi Jinping came to power in 2013 and made it clear that, for China at least, trade, investment and security came bolted together. One telling sign of this rupture came in August 2016 when an authoritative bilateral report that called for closer economic engagement bumped up hard against then-Treasurer Scott Morrison’s abrupt veto on China’s State Grid purchasing a regional electricity network in New South Wales. That Partnership for Change report maintained that closer economic engagement required building a higher level of trust between the two countries. What kind of behavioural change would it take for Australia to build greater trust with China in order to promote closer economic ties? One possibility would be to agree to greater secrecy to avoid controversy. Another approach would be closer alignment with China’s position on sensitive issues. 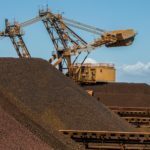 This week saw an example of the first approach when the Victorian Premier Daniel Andrews defended his government’s decision to keep the terms of an agreement it had struck with China secret saying “that’s the way these things work”. When it comes to alignment, Bob Carr has become a leading advocate of closer engagement and appears to have changed his behaviour accordingly. In times past, Carr was not known for promoting or defending China’s Communist Party (CCP) government. To the contrary, as Clive Hamilton notes, he was at one time publicly critical of Australia’s pro-China lobby, and denounced CCP ideology as a “ludicrously outdated notion”. All this changed with his appointment to head the Australia China Relations Institute at the University of Technology in Sydney in 2014. Since then he has come to personify the lobby he once attacked, lauding the achievements of Xi Jinping and condemning his critics. 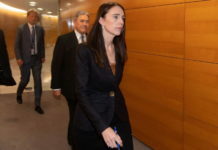 ACRI has provided Carr with the public platform he lost with the end of his brief tenure as foreign minister and again he has a strong media presence. For an instant in July this year it seemed the organisers of the Brisbane Writers Festival might have silenced him briefly but when word got around that he had been denied a place on the festival program, he won added media coverage for his latest book along with personal support from leading public figures. “This is a fundamental freedom of speech issue,” former foreign minister Gareth Evans told The Australian. It seems that even at invited events nobody can deny Bob Carr an opportunity to speak without breaching the UN Declaration of Human Rights. 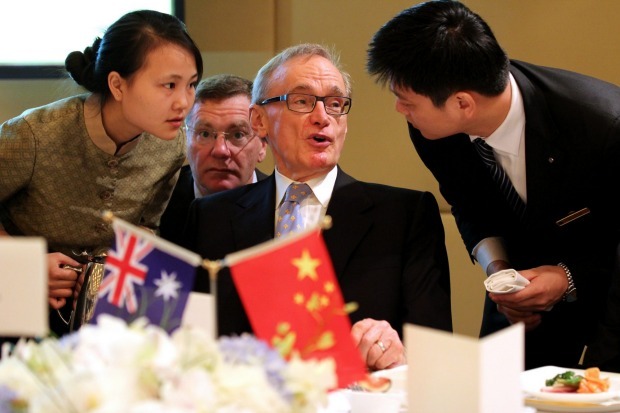 In China it is unlikely that any program organiser would turn down the opportunity of including Bob Carr. In a country where the UN Declaration counts for little, few can speak their minds, and none are permitted to criticise their own government, Carr’s willingness to lambast Australia’s government and applaud China’s has made him a media darling. If freedom of speech is at issue, then the things Carr says in China deserve to be aired more widely in Australia. Fundamental issues are indeed at stake. Within Australia Carr is now known for speaking up on Beijing’s behalf and talking down criticism of China as a relic of Cold War thinking. There are many possible triggers for this. Examples would be infrastructure purchases, extradition treaties, university issues, political donations, media coverage and allegations of foreign interference, all topics on which Carr has taken to the airwaves or the print media. The pattern is consistent, with Carr denying problems on the Chinese side while simultaneously criticising Australians who see problems, on the other. There are demonstrable alignments with Beijing’s position. In May 2018 it was reported that Carr had used a Labor colleague in Parliament to put questions about former Fairfax China correspondent John Garnaut to the Senate estimates committee. Garnaut had subsequently worked for Prime Minister Malcolm Turnbull on China’s influence operations in Australia, and the point of the questions was apparently to compel public servants to place Garnaut’s actions in that role on the public record. Security officials in China had the same interests. 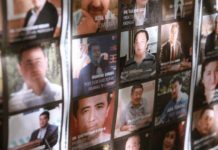 They interrogated Chinese-Australian academic Professor Feng Chongyi about Garnaut when they detained him in March 2017. Earlier he fulminated about “Cold War warriors” and repudiated any suggestion of Beijing’s interference in Australian affairs. These comments echoed those coming out of Beijing. In December 2017, Chinese officials complained of “fabricated news stories” that were “filled with Cold War mentality” and “unscrupulously vilified Chinese students as well as the Chinese community in Australia with racial prejudice”. Anyone serious about anti-Chinese racism in Australia can find ample evidence among Sydney’s radio shock-jocks. Alan Jones, for example, makes little effort to distinguish between the people of China and government of China in his on-air diatribes about Chinese investments. There is a world of difference between the anti-Chinese rants of populist media personalities and serious media coverage of CCP infiltration of Australian political parties, media companies, universities, and community organisations. Unlike knowledgeable analysts, however, Jones is spared Carr’s wrath. By happy coincidence, Jones offers Carr’s latest book a glowing personal endorsement on the publisher’s website. Why does Carr echo Beijing? The institutional origins of Carr’s China-whatever approach can be found in the history of ACRI. In 2014 a prominent Chinese businessman in Sydney made a significant donation to UTS to establish a new China institute. The same donor subsequently boasted in public that he personally selected Carr to run the operation. Carr emerged as Australia’s most prominent and vocal public advocate for Xi Jinping’s China. 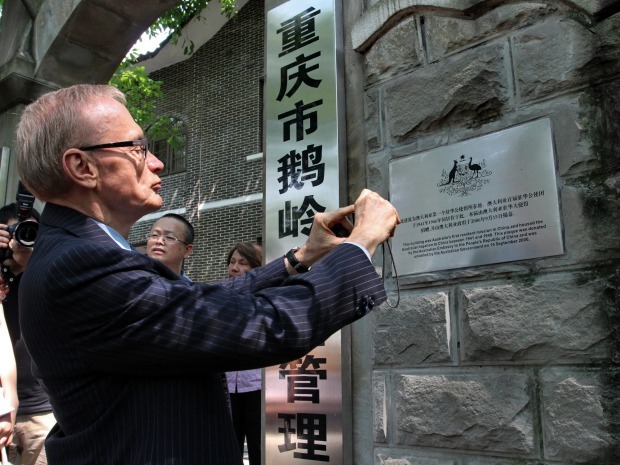 The new institute was not an everyday university research centre but one with a mission to promote an “unabashedly positive and optimistic view of the Australia-China relationship”, in Carr’s words. The mission was consistent with Communist Party chief Xi Jinping’s command to his propaganda cadres to “tell China’s story well”. That initial PR move morphed into a party propaganda triumph in November 2015 when Carr met with Propaganda Bureau deputy director Sun Zhijun in Beijing to discuss co-operation on media coverage. In May the following year, Central Propaganda director Liu Qibao visited Sydney to preside over a signing ceremony at which Carr’s institute contracted with a party-led agency to work on the Propaganda Bureau’s behalf. China’s official newsagency Xinhua reported that, as a result of this and other Australian media contracts, “myths will be dispelled and cross-cultural understanding is set to grow as China-Australia media co-operation increases”. In China, people know that Xinhua’s mission is to instruct China’s media on the myths that can never be punctured and the news and views that can never be published. That’s its job. Carr was to be a local associate in massaging Australian media reporting on China. 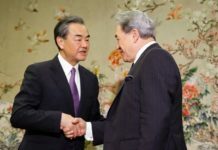 Once these deals were exposed in Australia, Carr’s local credibility as a good China story-teller went into a tailspin. But they did no harm to his standing in China where he is a regular media performer and participant at high-level meetings. In his China appearances, Carr ventures well beyond his institute’s remit on Australia-China relations to offer unabashedly positive and optimistic comments on party history, achievements and leadership. A million people can be placed in detention in Xinjiang,the President of Interpol can disappear, media stars, journalists, and religious pastors can be arrested and jailed on spurious or non-existent grounds without tempting Carr to criticise Beijing in China’s media. When it comes to criticising the Australian government on Chinese media, Carr turns out to be a real terrier. On August 23, China’s Phoenix TV invited Carr to comment about the downturn in Australia-China relations under the Turnbull government on its nationally broadcast Talk with World Leaders program. 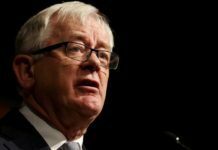 After heaping criticism on Turnbull’s approach, Carr told Chinese TV audiences that the turning point in the Australian relations with China came with Trump’s election and inauguration as President of the United States. He neglected to mention earlier incremental shifts in Australia’s position, such as the Abbott government’s outspoken concern over China’s declaration of an Air Defence Identification Zone (ADIZ) in the East China Sea, which Foreign Minister Wang Yi bluntly characterised in December 2013 as jeopardising mutual trust; or the more outspoken response from Canberra to Beijing’s rejection of the arbitral decision on China’s claims over the South China Sea in 2016, which prompted speculation at the time in China about Australia’s change of tone and what China could do to seek “revenge”. Carr made no mention either of concerns in government, academy and the media about Beijing’s influence operations in Australia, widely canvassed before Trump came to office. No, Carr told China, things turned sour because Canberra was keen to impress Trump. The Chinese interviewer pushed back, suggesting that the turning point in relations between Canberra and Beijing preceded Trump’s ascension to office. Carr stood his ground. “Some silly people have got it into their heads that Australia impresses Washington by beating up on the Chinese,” he told Chinese TV. In doing so, Prime Minister Turnbull was simply “trying to impress Donald Trump’s America”. The television interviewer may have been better informed than Carr but we cannot assume that China’s television audience was on top of the story. They probably did not know that, far from being a Trump sycophant, Turnbull had held Trump to his word in their initial phone call, had parodied Trump at a Canberra press event and later joined in regional criticism of Trump’s trade tariffs targeting China. 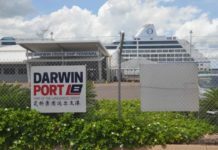 Nor would they have been aware that, contrary to shaping Australian attitudes towards China, the US government has been closely watching events in Australia with a view to informing their own understanding of the Chinese government’s interference and how to respond to it. And they were not about to learn any of this from Carr. Rather, this distinguished former foreign minister, former premier of Australia’s largest state, now a university professor, was reinforcing a message they had already heard from China’s party media: Australians were toadying to Trump. Carr went yet further, insisting that Canberra was beating up on vulnerable “Chinese” in Australia (not the government of China) and that he had his finger on the pulse of the Australian people. “A majority of Australians are not happy with that,” he told Phoenix TV. The facts are, of course, that Turnbull, along with senior security analysts, independent scholars and journalists, pointed out time and again that their concerns related to Communist party and government interference, not to “Chinese”, and that the Chinese-Australian community is Australia’s most valuable asset in managing complex relations with China. This broadside is worth comparing with Carr’s comments on Chinese media about that country’s government under Xi Jinping. On April 12, Carr appeared on Shenzhen television to discuss the keynote address Xi gave at the Boao Forum a few days earlier. 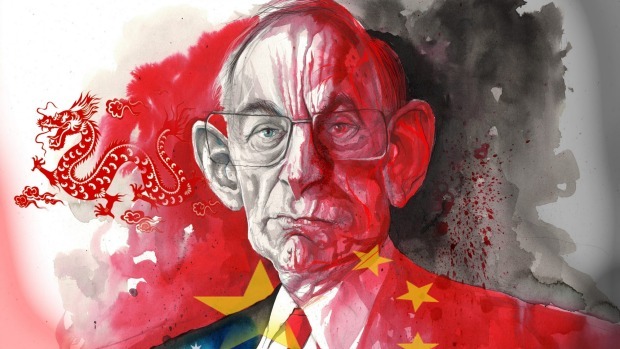 In a Chinese voice-over, the host introduced Carr as a former Australian foreign minister and distinguished professor “with a university specialisation in Chinese history” who was “exceptionally familiar with the history of China’s Reform Era”. Carr may not have been personally responsible for this false wrap – all the more reason for caution when appearing on Chinese propaganda programs – but it did ensure that his comments on Xi Jinping would pass as the considered judgments of an international statesman and renowned China historian capable of appreciating Xi’s significance in the sweep of Chinese history and in shaping the destiny of the world. Carr obliged. Ahead of the interview a number of his comments on Xi’s presentation had already made their way into the party’s Chinese language media. One quoted Carr saying that Xi’s speech showed he was a fitting successor for China’s reforms, which were “a miracle for humankind”. Another recorded him referring to Xi’s “visionary speech” which “changes China and changes the world”. A People’s Daily report had Carr going a step further in praising Xi Jinping himself as “a most wise and visionary leader”. Asked what he thought of Xi Jinping on Shenzhen TV, Carr responded that he was “impressed by his leadership, leadership for the world”. What is remarkable about these claims is not their hyperbole but how commonplace this style of hyperbole is becoming among retired foreign dignitaries enticed by the party to tell good China stories. 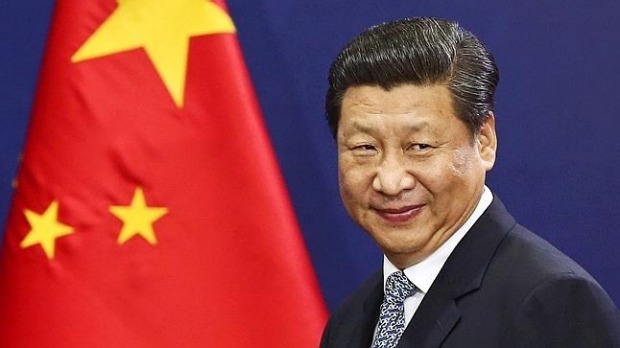 Xi’s leadership for the world, or “leadership of global governance”, as Beijing prefers to call it, is a common refrain in party briefings for foreign dignitaries. Carr’s comments on Xi’s leadership for the world lent an Australian accent to an ascending chorus of retired officials from around the world declaring their support for the world leadership of Xi Jinping. Carr is just one of an expanding cohort of retired foreign officials competing for preferment in a competitive sub-field of Sinology that Hong Kong China scholar David Bandurski calls “the science of Sycophantology”. 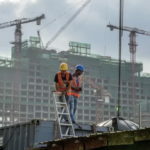 As a rule, practitioners know very little about China but enough to appreciate that public acclaim for its Communist leadership and expressions of regret over the failure of the West to “understand” China can open doors and land opportunities. They are lavishly hosted on visits, offered lucrative board positions on Chinese entities, generously supported in their academic positions and presentations, and expected at a minimum to return the favour by complimenting their hosts. 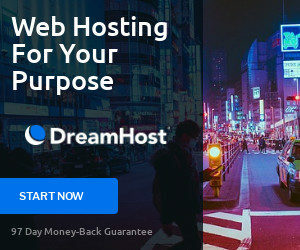 To help them frame their compliments, party cadres present them with a standard litany of propaganda phrases – World Anti-Fascist War, for example, or Community with a Shared Future for Mankind, A Better World, Leadership for Global Governance, Belt and Road Initiative, and Great Power Relations among others – that do not carry a lot of credibility in the mouths of local officials but sound vaguely plausible when intoned by foreign dignitaries. Adherents of the discipline are expected to learn and recite them by heart. Party propagandists casually boast of their success in planting these phrases on the tongues of foreign dignitaries. At the world’s first “World Political Parties High-level Dialogue” held in Beijing in December 2017, which Carr attended, party media reported that a number of Beijing’s favoured propaganda expressions, including “A Better World” and “Community with a Shared Future for Mankind” “have become stock phrases among [foreign] representatives”. Washed through the mouths of foreign dignitaries, compiled into scholarly compendia and broadcast over China’s party media, the chorus of international praise for Xi Jinping and recitation of his stock phrases invites people in China to concede that their authoritarian government is the answer to their own problems and possibly the solution to many problems besetting the world. The inaugural World Political Parties High-level Dialogue that Carr attended was an important site for this charade. More than 600 delegates representing nearly 300 political parties and political organisations attended from over 120 countries. 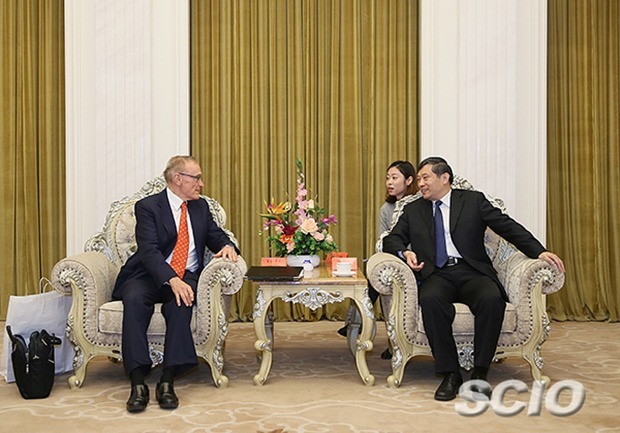 No mainstream Australian political parties participated but Bob Carr was reported as attending and was prominently photographed alongside Wang Yajun, the assistant director of the party’s International Liaison Department hosting the gathering. By their presence, attendees signed on to a closing declaration that carried Xi Jinping’s stock expressions and spelt out the steps to be taken to establish his leadership for the world. Participants in the World Political Parties dialogue helped to perpetuate another charade, that the CCP is a political party like the 300 other parties represented at the meeting. It is not. For one thing, the CCP owns and controls the country’s entire military apparatus, the People’s Liberation Army, Navy and Airforce. The party’s armed wings were carried over into the People’s Republic after 1949 and party leaders still refuse to put the armed forces on a more conventional footing. For another, the party constitution takes priority over China’s national constitution which amounts to little more than a supplementary clause of the Party one. Third, preservation of Party power is defined as China’s “number one core national interest” with the result that anyone who dares to mutter a word of criticism engages in effect in treason. No entity that owns and controls a country’s armed forces in perpetuity, that sits above the national constitution and the law, and that has prior claim over crimes of treason fits the description of a political party in any language. The CCP is not a political party but a corrupt and increasingly totalitarian oligarchical state. Bob Carr graced a spectacle intended to showcase the Chinese Communist Party as primus inter pares in a quasi-parliament of the world’s political parties, overseen by the leader of the world. People in China are accustomed to charades of this kind and go along with them because they have to. They laugh at foreigners who go along with them as charlatans and fools. For Australians it is no laughing matter. Carr may imagine that he is gallantly taking up an honourable cause defending Beijing on Chinese media in an open debate with its critics. There is no debate. Foreign dignitaries like Carr, who applaud Communist Party achievements and say damning things about their own governments, are the only outside voices to be heard in Xi Jinping’s China. Then again, Carr presumes to speak on behalf of the Australian people in China, not because they have contracted him to represent them, but because Beijing grants him the rare privilege of a media platform denied to other Australians. This is one reason foreign dignitaries who know China well choose their words with care when they speak for their people or government in China. Carr either does not understand, or understands and takes advantage of the privilege. Further, Carr’s behaviour demeans Australia and harms the national interest. His comments run the risk of misleading Beijing about Australian government thinking on national sovereignty and security. Speaking in China, Carr consistently mischaracterises the underlying problem in the relationship, misrepresents what Australian people think about it, and mistakenly implies that a change of government would return relations to where they were before Malcolm Turnbull became Prime Minister. He even offers advice along these lines. In August Carr published an opinion piece in Hong Kong suggesting that Beijing could delay mending relations until after the next election in order to pressure Canberra to come around. This may be what Beijing wants to hear. What it needs to hear is that there can be no return to the status quo ante while Xi Jinping’s government engages in underhand ways in Australia’s domestic affairs and flouts international law in the South China Sea. Finally, in pushing the line in China that the Australian government is targeting “Chinese” and not the government or Communist Party, Carr fans anxiety among Chinese-Australians who have good historical reason to be fearful of White Australian racism. He has wilfully overlooked the fact that government leaders and security analysts have consistently defined the problem as one of Communist Party interference involving people like Sam Dastyari and Carr himself, who hardly count as Chinese-Australians, and he has blithely disregarded the rights of Chinese-Australians to protection from foreign government interference. His indifference to the rights and freedoms of Chinese-Australians under surveillance from China’s security agencies echoes the indifference of White Australia to their civic rights in an earlier era. Are we to conclude that Carr’s China-whatever comments in Australia and his frequent media appearances in China – fawning over Xi Jinping, lamenting Australian government leadership, and insisting against all evidence that the downturn in Australia-China relations is all about “silly” people trying to impress Trump – are the heavy collateral cost of holding an “unabashedly positive and optimistic view of the Australia-China relationship”? If so, what does this mean for closer engagement? One of the big questions facing Australia today is whether closer engagement with China inevitably entails sacrificing principles and self-respect. Propaganda and sycophancy are not strong endorsements for thinking positively or optimistically about where the relationship is heading. If this is what it takes, then Australians need to know. They are unlikely to discover whether they can engage closely with China and still retain their self-respect while Bob Carr goes on behaving as he does. Carr’s institute may outgrow its early links with the Communist Party’s Propaganda Bureau and start to tell all kinds of China stories – good, bad and indifferent – while working to build greater trust between the two countries. On recent evidence from China it is hard to see that happening while Carr remains at the helm. 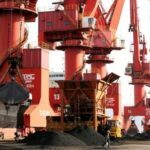 Next articleHas Chinese investment become toxic?